This year’s Annual meeting was another memorable event. Held at Dorsey’s Knob, guests and participants enjoyed excellent desserts and an incredible view of the surrounding country-side while listening to Jim Hunt speak about “From Great to Amazing” that covered how cities deal with growth, revitalization and challenges. Fran Nelson and Gloria Sofranko. Proposed 2013-2014 Local Program was approved. 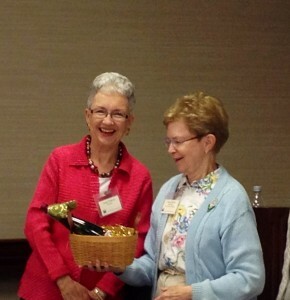 Nancy Novak presents farewell gift to Susan Watkins. At its recent convention in Charles Town, the League of Women Voters of West Virginia elected Nancy Novak of Vienna as state president for a two year term. Novak (right) replaces outgoing president Susan Watkins of Charleston, and is shown presenting Watkins with a gift from the board of directors. The League held its biennial convention to elect officers, adopt a budget and chose the program for the coming year. In a new program item, members attending the convention voted to study the funding of library systems in West Virginia. Delegates from the local leagues around West Virginia reported on their activities, and state board members updated the convention on Legislative election law changes. National league representative Diana Haskell presented awards to the leagues for outstanding membership growth. 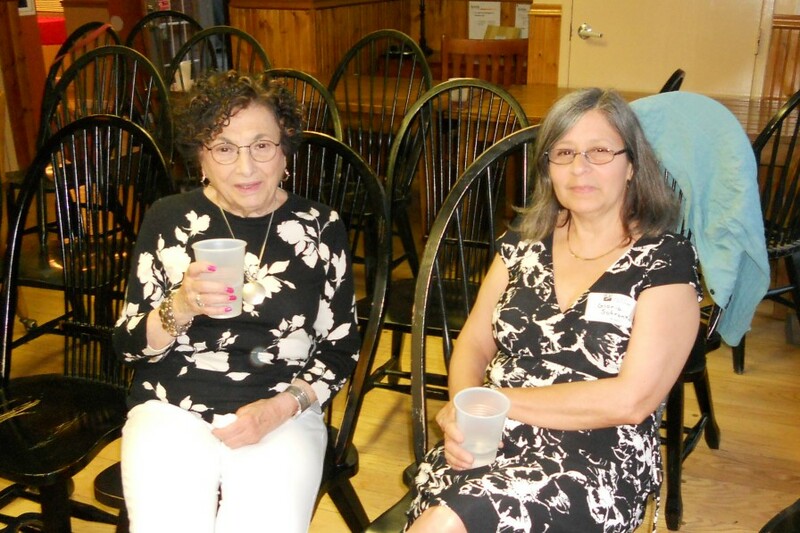 Also elected were Helen Gibbins and Monika Rowe of Huntington, Nancy Deming of Fairmont, Priscilla Haden and Teresa Koon of Charleston, Jonathan Rosenbaum and Shirley Rosenbaum of Morgantown, Carolyn Watson of Harpers Ferry, and Kathy Stoltz of Vienna. 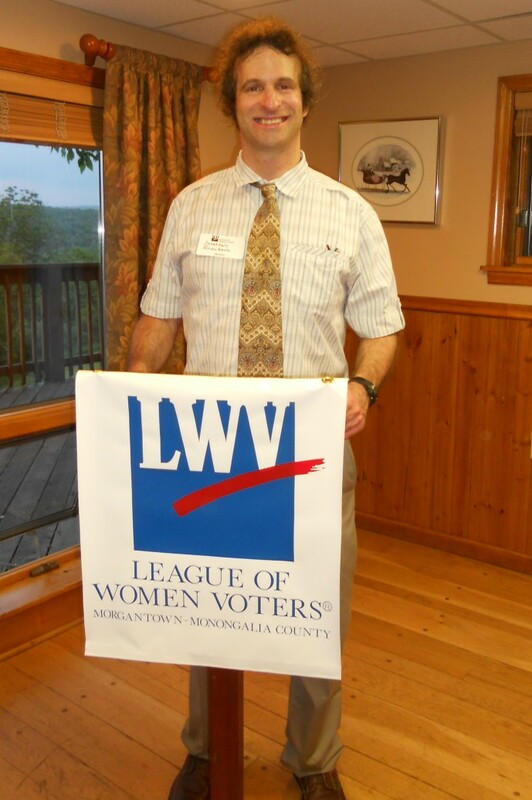 The League of Women Voters, a nonpartisan political organization, encourages the informed and active participation of citizens in government and works to increase understanding of major public policy issues. Membership is open to all men and women of voting age.